Chris Duke heads to Arizona to start a new Classic Chevy C10 project truck, then checks out the inaugural NASCAR Roval event in Charlotte, NC. Watch Motorz S04E12 on TV Tonight! 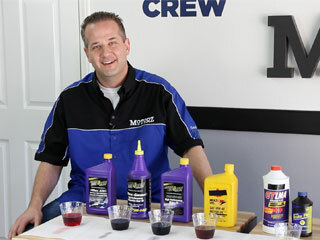 Chris Duke from Motorz TV shows you how change all the fluids in your vehicle including motor oil, gear oil, transmission fluid, coolant, and more.